The field of addiction treatment is unlike any other in the field of medicine. Typically, those who are diagnosed with addiction generally undergo more than mere physiological assessment and treatment, as one who is diagnosed with any other diseases like cancer or diabetes. In fact, there are many other things that have to come into play when dealing with a disease like addiction. This truth presents an opportunity to reflect on the unique aspects of addiction treatment. To start, here are just 3 things that set addiction treatment apart from medical treatment of any other disease. Typically, those who are diagnosed with addiction generally undergo more than mere physiological assessment and treatment, as one who is diagnosed with any other diseases like cancer or diabetes. 1. A holistic approach is recommended. Individuals diagnosed with addiction are typically encouraged and directed to address emotional or psychological and spiritual aspects of the self along with physical components. 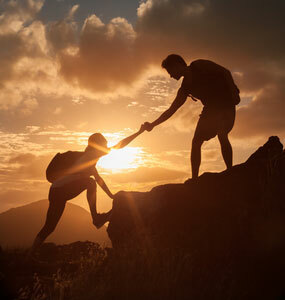 Often, life or recovery coaches, social workers, counselors, psychiatrists and other necessary members of a holistic recovery team are brought on board to assist in the individual’s complete and continued recovery from addiction. 2. There is no official “end” to treatment. Unlike many other diseases, an addicted individual is often instructed to continue their spiritual and psychological growth process along with their physiological health with support groups, sponsors, counselors, life coaches and/or social workers who hold them accountable for their own recovery process. These individuals are ideally supported through a continuum of care that follows the lifespan of their recovery. Sober housing, collegiate recovery and other sober communities and programs are also recommended resources for relapse prevention. 3. Systemic care is necessary. Addiction has been recognized as a systemic disease, meaning it affects the entire family system. Where other diseases do not typically result in maladaptation or dysfunction within the family, chemical dependency results in codependency, dysfunctional family roles and a wide array of mental illnesses. As such, adequate addiction treatment also undoubtedly requires a family component. If you or someone you know is seeking help from addiction, please visit our directory of treatment centers or call 866-606-0182 to start the path to recovery today.